How to add a photo to your article. Click on set featured image. To upload a photo click upload files. Title: This is very important, please upload the appropriate title. A good example would be ‘Ricky Hatton’ a bad example would be ‘RH’. Why upload the fighters name? 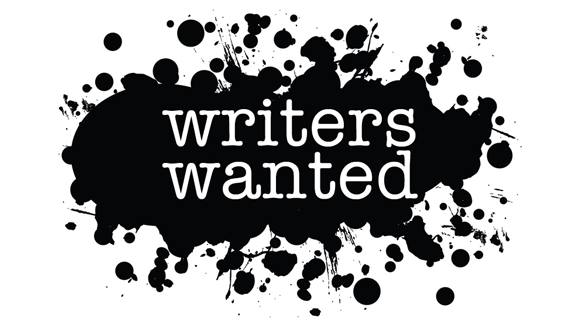 It is so that writers can find images to match their articles, rather than uploading a new article. Caption: Please add photo credit to all images. If you cannot find the original photographers please use the website where you found the photo. Everytime a writer uses your image your caption will appear. I can’t stress this enough. Please add photo credit to all images. If you cannot find the original photographers please use the website where you found the photo. If you have taken photos for Ringnews24 please add us to the caption. Upload large horizontal photos as your featured image as vertical wont work with the article layout. 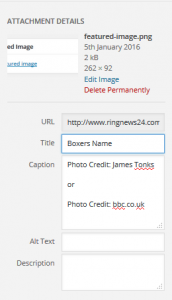 Ringnews24 is always on the lookout for fresh writing talent to come in and contribute to our boxing news site Ringnews24 – More Information. Just what are the odds of a Double Knock Out?